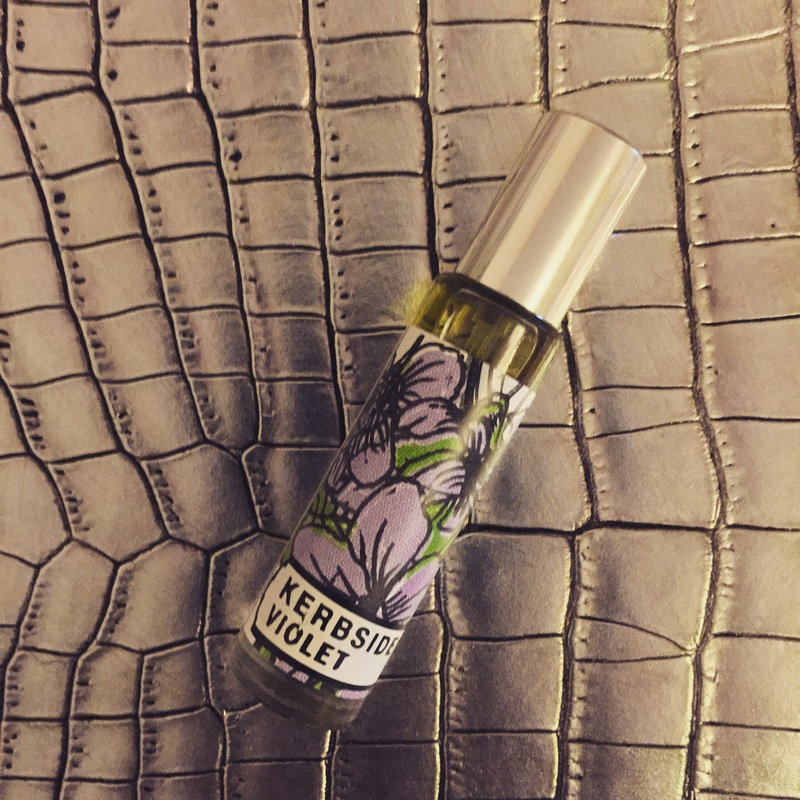 Thanks to the lovely people at Gorilla Perfume, I have one 10ml spray of Kerbside Violet to give away. If you’d like to know more about the scent, then just click here to read my review. To enter, simply leave a comment telling me which person, dead or alive, you would like to have a chance encounter with on the streets and why. Keep it clean, people. Mine would either be Whoopi Goldberg or Madonna (of course). This giveaway is now closed. 1) the draw will close at 22:00 (GMT) on Monday 02 March 2015; 2) only one entry per person – repeat entries will not be counted; 3) the winner will be selected at random via random.org; 3) the winner will be announced on Tuesday 03 March 2015; 5) the winner will be asked to provide The Candy Perfume Boy with their postal address; 6) if the winner has not made contact with The Candy Perfume Boy within 7 days of announcement, I reserve the right to redraw; 7) I will post anywhere in the world but will not be held accountable for lost items or customs charges; 8) the winner’s details will not be shared with any third parties,; 9) the prize is a 10ml spray bottle of Kerbside Violet and must be accepted as rewarded with no cash alternative; 10) relatives of or persons associated with The Candy Perfume Boy are not permitted to enter. Good, I’m glad we got that out of the way. Image my own. Prize via Gorilla Perfume. Posted in Competition, Gorilla Perfume and tagged Competition, Fragrance, Giveaway, Gorilla Perfume, Kerbside Violet, Lush, Perfume. Bookmark the permalink. It would be the young Elvis Presley.What a guy and so much charisma !Love his moves and music. J. S. Bach. Curious what he was really like. Thanks! Fingers crossed. Hi! I’d like to have a chance encounter with Werner Herzog, on a footpath on the Bavarian Alps, and tell him he’s the film director I admire most in the world, and ask him a lot of questions about his masterpieces! I reckon he’d give a fascinating interview. I can answer this without even thinking! It has GOT TO BE Kylie Minogue. She is my insipration and I adore her! I sat only a few rows from her in one of her concerts once and it blew me away. Imagine meeting on the street! Face to face! Awww, I love Kylie! Good choice. Mine would either be Steve Jobs or Rosie O’Donnell. Steve Jobs, because he was basically my idol growing up, and Rosie O’Donnell—who’s not my favorite celebrity or anything—just because she seems like a very down-to-earth celebrity who’d be fun to chat up for a bit. Also because I had a recurring dream for a while that she was my hairdresser and I’ve had a soft spot for her ever since. Actually wait, no, Fiona Apple. Hehe, I like your indecision! I would love to meet Ariana Grande because I find she is a really genuinely nice person so I would love to talk to her! How lovely! I think that would be great fun! I would like to meet Beyonce. I think she is a great artist and I love her life style. I love her. Hi there! I’d love the opportunity to meet Bruce Willis. He just seems like a fun guy! Thanks for the generous draw! I think I’d like to encounter Bruce Springsteen, so I could tell him what his music has meant to me all these years, but I suspect I’d be tongue-tied and gibber fruitlessly at him so it is probably best that this doesn’t happen! I’m sure you’d do a great job of conveying your feelings! All the Lush Gorilla scents I’ve come across have been interesting. I haven’t loved every one of them, but they are never, ever dull. Thank you for the opportunity to win a new perfume! Definitely. They’re all really unique and interesting. I would love to have a chance encounter with John Legend, I really love his music. He’s so talented, I agree. So many choices! I’ll say… Gloria Swanson. She was a glamorous silent movie star, (and made movies into the 70’s) author, business woman, early advocate for healthier eating…and so much more! Sounds like my kind of gal! Fascinating choice. I wonder what he’d say. Me too! I hope to see her live one day. Bette Davis; talented and smart. I imagine that he’d be very happy to hear it! Haha. I love how you’d find him in the gutter. Good old Oscar! Lots of votes for Björk. Count me in too! Mine would have to be Hugh Laurie 🙂 love him! Thanks for the opportunity to win this! I had a spray of the tester in store the other day and loved it !! He’s a bit of a dude, I must say. He sounds like a dude. I would probably want to stumble upon Dita Von Teese, not only am I completely smitten with her, she’s also led a very interesting life. + her taste in most everything is impeccable. I would love to meet Maurice Bejart- he influenced my aestetic perceptions since my teens.. I had to look him up, but I can see the appeal! Hehe. I could do with improving my bird call skills too. That’s enough of a reason! Oooh, I vote for McQueen too! My grandma coz I love her. I was in not backome with her when she passed away! I really miss her! Sorry to hear about your grandma. I think it’s lovely that you’ve picked her as your chance encounter.